The RJF Smith Center for Aquatic Ecology is a 450 sq. meter aquatic research facility located on the University of Saskatchewan campus. The building houses 12 artificial ponds and a 70 sq. meter wet lab, used in the study of aquatic life. With these ponds comes the added challenge of being able to control the humidity and temperature of the space through all of Saskatoon’s extreme seasons. The HVAC equipment was required to maintain tight tolerances on the space conditions in order to not impact the research findings. Dual core technology with 90% energy recovery. 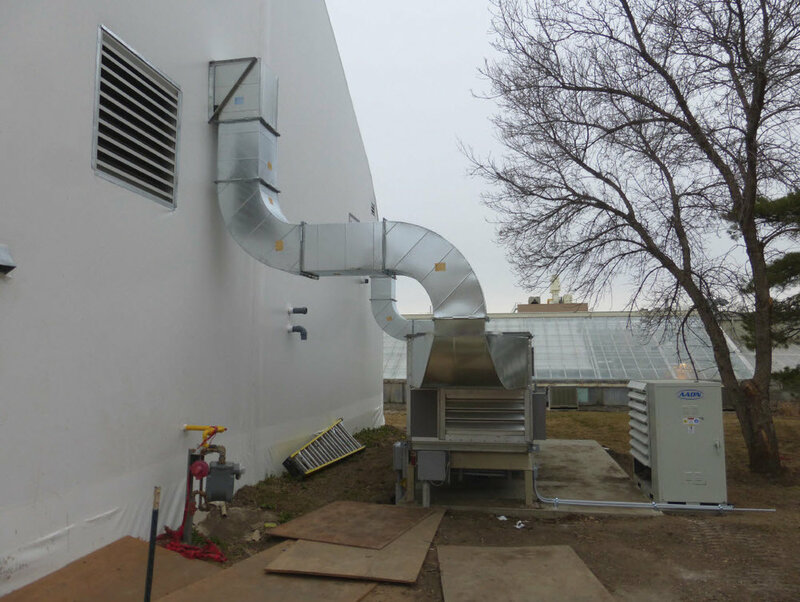 FabricAir Combi 20 fabric ductwork with SonicFlow dispersion nozzles around the perimeter of the building.